Metro Mini Storage is a family owned and operated facility. 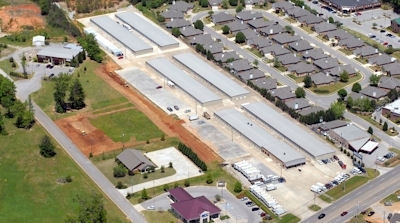 We are the largest storage business in Alabama with over 40 years of experience. We have many storage options to fit your needs as well as moving supplies and truck rentals services. A $10 refundable deposit is required for all units. Very nice facilities and professional staff. The staff was very friendly and helpful its a very clean place and safe. This place was very convienent and clean the staff was friendly and helpful. Sure helps in a stressful time. The personnel are courteous and very helpful. The unit is clean. The personnel will help with any questions. They always act as if you are their most important client and they have all the time you need. Easy, clean, close to home. I've never needed a storage unit before, but my mother in law is moving in and some things needed to get moved out. The guys there were easy to talk to on the phone and easy to deal with when I got there. The facility is very large but clean and accessible. They rent trucks, but I just used my pickup. If you're in Trussville and need a unit, this seems like the spot.